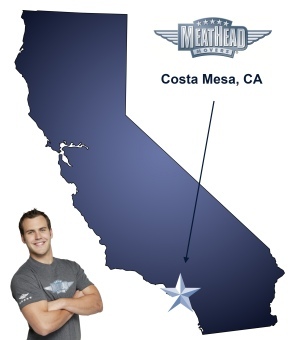 For a trouble-free move to Costa Mesa, Meathead Movers is the company for you! Our professionally trained student-athlete movers are ready to get you into your new Costa Mesa home. There are many cities within beautiful Orange County, one of the best places to call home is Costa Mesa. Situated slightly inland, Costa Mesa is a vivacious city with a population of over 100,000 people. If you are considering a move to this vibrant city, you’ll want to check out the services of Meathead Movers. Costa Mesa was originally settled as early as 1776, and was a hub for activity for early Spanish settlers, but the area dwindled once it became a part of the United States, and didn’t start prospering again till its incorporation in 1953. Since then, the city has rapidly grown and flourished. Today, Costa Mesa is best known for its shopping and entertainment venues. The city is home to the South Coast Plaza, which is a massive retail outlet with over 300 stores. Costa Mesa is also the location of the Pacific Amphitheater, which is a popular stage for musical acts. Before making a move to Costa Mesa, it is important to know about the best Costa Mesa movers. Meathead Movers is an established moving company with fifteen years of moving experience in California. For maximum convenience, Meathead Movers offers a range of services and is capable of helping clients with any type of move. Whether it is a local, long-distance, and commercial move, Meathead Movers can handle everything from packing, to transportation. Other services include storage, on-site relocations, and our distinctive moving concierge service. While these services are clearly impressive, there are more reasons to choose Meathead Movers. Unlike most Costa Mesa movers, Meathead Movers employs student athletes. This means that all Meathead employees are energetic and committed, abstaining from smoking and drugs while on the job. All employees also practice the HUSTLE difference, which means they jog while not carrying anything to save you valuable time. Meathead Movers also provides top-notch customer service with support any day of the week. Though there are other Costa Mesa movers to consider, none can match the quality and commitment of Meathead Movers. With our 100% satisfaction guarantee, the only thing you have to lose is the stress that comes from moving! So contact us today for a free no-obligation moving quote and to learn how we can help you on your next move! Moving to Costa Mesa? Here are some helpful resources. View more Costa Mesa resources. They were very professional, fast and did a great job. We will definitely use them again. Everything was awesome! The guys were on time, friendly, professional and respectful. I really felt like they cared about my things - for example, they wrapped my pillows and comforter in a separate large bag to keep them clean. Unnecessary, but appreciated! They were quick, but careful, and just a joy to work with!